A short North American ABWH tour begins in Vancouver, BC, ending at Madison Square Garden in NYC on March 23—the last performance for the band under this moniker. Steve plays classical guitar on the title track of Queen’s Innuendo album. ABWH and the four then-current Yes members join forces for an album and tour titled Union. The North American tour begins in Pensacola, FL, ending in Seattle, WA on May 21. 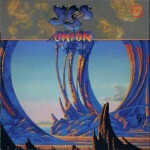 In April the Union album is released, a combination of tracks from the two Yes factions. 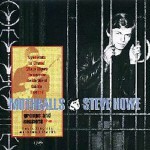 The ABWH tracks contains numerous overdubs by a variety of outside musicians, done without the consent of members including Steve, who disowns the album. The Union tour of Europe follows. In August the Yesyears box set is released. 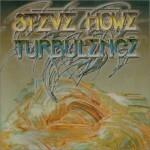 Turbulence, Steve’s third solo album is released in July. It includes Bill Bruford on drums. Five Yes dates in Japan in February, starting and ending in Tokyo with the final Union concert performed on March 5. Steve, Rick, and Bill will not be invited to remain in Yes, who go on to record Talk with the 90125 lineup. 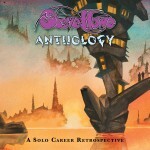 Geoff Downes invites Steve to contribute to the Aqua album. Steve tours with the band as a “Special Guest Artist”. 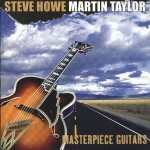 Steve also produces his friend Martin Taylor’s album Artistry. In July, Steve performs solo throughout the UK, the start of the Not Necessarily Acoustic performances. 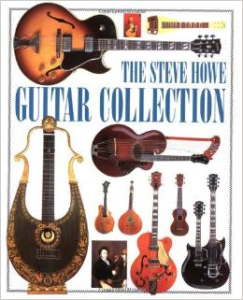 With only four guitars In tow, Steve rips through a set of selections from his many solo and band albums. 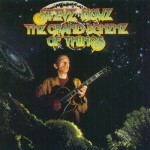 The Grand Scheme Of Things is released in August. Symphonic Music Of Yes is released in September, offering post-Union Yes music from Howe and Bruford. The Not Necessarily Acoustic tour begins it’s North America leg on November 22 in Solano Beach, CA, ending in Montreal on December 19. The Steve Howe Guitar Collection, a hardback book detailing 125 of the guitars in Steve’s collection, is released. Mothballs dusts off some of the earliest Howe material. Another solo tour, this time titled Pulling Strings, begins at the Bottom Line in NYC on October 11. Steve takes his first trip to South America, performing four dates in Argentina beginning in Cordoba on December 13. Not Necessarily Acoustic, a live album, documents the previous year’s performances. Pulling Strings moves to Japan for four dates starting in Tokyo on January 21. Tales From Yesterday, a Yes tribute album. features Steve performing “Turn Of The Century” with Annie Haslam. The two also collaborate on a single release, “Lily’s in the Field”. Voyagers, the second collaboration with Paul Sutin is released.Trevor Rabin and Tony Kaye leave Yes, and are replaced by Steve and Rick Wakeman in the Spring. The reunited “Classic Yes” lineup of Anderson, Howe Squire, Wakeman and White perform three concerts in San Luis Obispo, California March 4-6. The shows are recorded, and appear on two double-CD releases, Keys To Ascension and Keys To Ascension 2. Also in March, Steve produces Martin Taylor, joining him on numerous guitars from the vast collection of collector Scott Chinery. The result, titled Masterpiece Guitars, will not be released until 2002. Guitar Rondo, Steve’s official web site, launches in May. 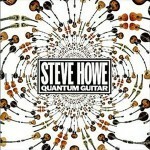 Following his appearance at the Classic American Guitar Show in NYC on May 18 & 19 Steve receives an honorary Ph.D. in music from Five Towns College in Dix Hills, NY, on May 24. Keys To Ascension is released in October. Yes makes promotional stops for Keys to Ascension in New York City and Los Angeles. 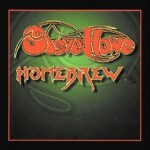 Homebrew, a collection of alternate takes and home-studio demos, is released. Open Your Eyes is recorded in the summer, and is followed by a North American tour. Open Your Eyes, Keys To Ascension 2, and Beyond And Before (a collection of vintage YES BBC recordings) are released. The European leg of the Open Your Eyes tour is followed by visits to Mexico and Brazil, and then another American tour before moving to Japan. In November the band will begin recording The Ladder, in Vancouver, BC. Steve’s son Dylan joins in on the all-instrumental Quantum Guitar. The Ladder is released in September. The Ladder tour begins in Rio De Janeiro, Brazil. The House of Blues performance in Las Vegas, Nevada is filmed and later released as House of Yes. Pulling Strings, a live album, documents Steve’s second round of solo performances is released in March. 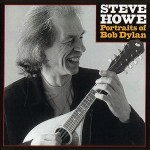 Portraits of Bob Dylan features Steve and friends paying tribute to an early inspiration. Martin Guitars produces a Steve Howe signature 0018 model.